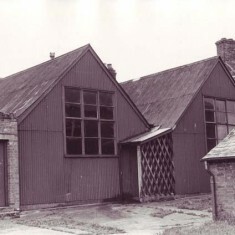 East Meon Institute, which contained a Library, Coffee room and Hall, with Park Vista to the left. Children's tea outside the Institute, undated. Note the country costumes worn by some adults. 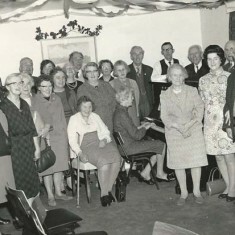 Group with bunting in Institute, undated. 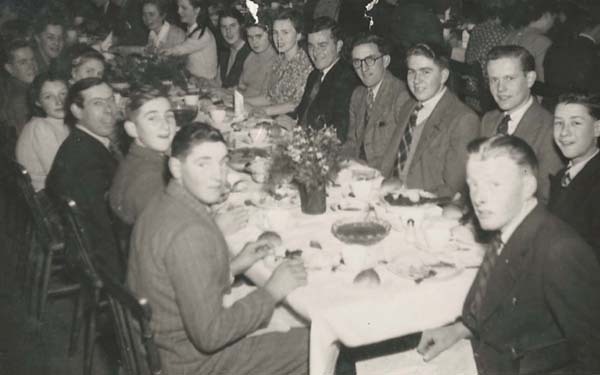 Dinner in the Institute - possibly a sports club - early 1950s. 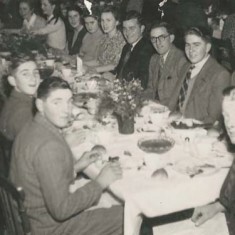 Far side of table, left to right, Bill Blackman, Jimmy Brown (wearing glasses), John Tosdevine, end of table Reg Lanham.. Attached as a PDF are excerpts from the Indenture, drawn up in 1887, and from the Declaration of Trust, 1912. 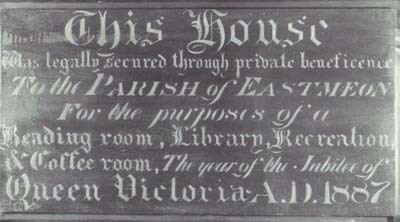 Another PDF is a Declaration, in 1948, of Exemption from Entertainments Duty. Then come PDFs of sections of the Minutes Book of the Institute’s Management Committee, starting in 1928, and notes of points raised., up to 1951. 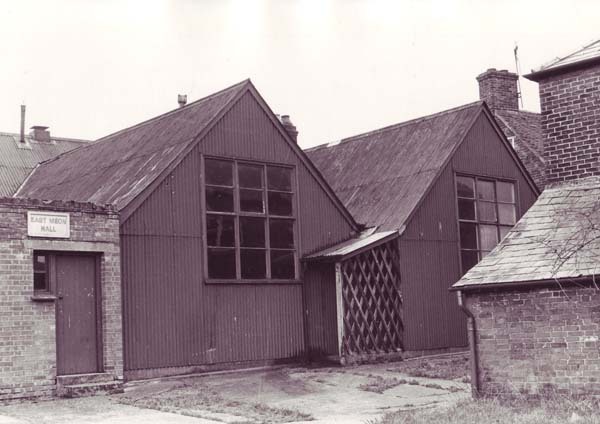 A report on the Institute and the VIllage Hall, also a PDF, has been compiled by Michael Blakstad from the various sources available in this category of the archive. A shorter article, written for Meon Matters, is also available to download. 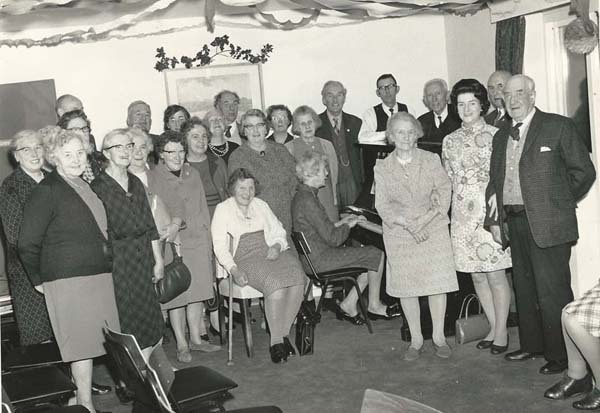 Lady Margaret Nicholson, the last of the Nicholson ‘Gin’ family to live at Bereleigh, (sitting second left) was reported to be a very strong lady in her own right and could get her own way, and saw that the Village Institute & Library was well run. Others were, (from left to right back row), W (Weary) Blackman from Drayton who worked at Bereleigh Estate on the farm side, Herbert (Herbie) Goddard who ran the garage and petrol pump from the yard of Glenthorne House. 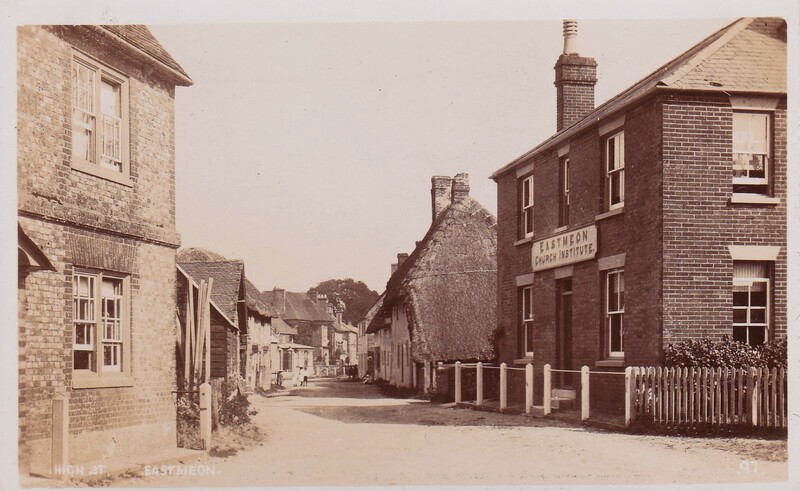 Jack Porter who was the caretaker and Librarian and worked for the Ministry of Defence at Liphook. He was brother-in-law to Iris Porter. Frank Collyer, leader of the Home Guard and father of Margaret Tosdevine. He was a wood turner by trade. Finally, standing at the end of the row Rece Porter (husband to Iris). He was a Postman and assisted his brother looking after the Institute. Sitting to the right of Lady Margaret Nicholson is Doc. Clifford, who ‘sported’ a ginger goatee beard and had one artificial leg. 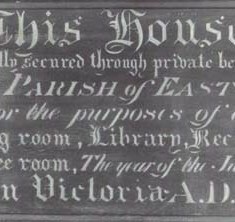 His surgery was in the Glebe House, where Alan Linda and Linda Redpath now reside. The Church was represented by the Reverend Watkins. 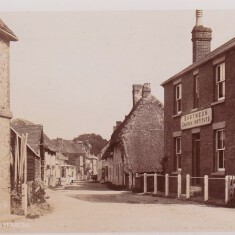 Harry Wynn was the local contractor who had a lorry and lived at Pidham Farm. He had a wood business and helped maintain the Church Yard. To complete the picture George Wilson Atkinson, father to Wilson and Mary Caines, represented the farming interests, as did his son Wilson for many years in the 1980/90s. Typewritten excerpts from the original Indenture, 14th December 1887, and from the Declaration of Trust, 9th March 1912. The minutes of the Management Committee of the Institute, 1928 - 1942. This is a large file and takes time to download. Pages of the minutes book of the Institute, recording meetings from 1942 - 1951. Notes of points raised in the Minutes of the Institute. 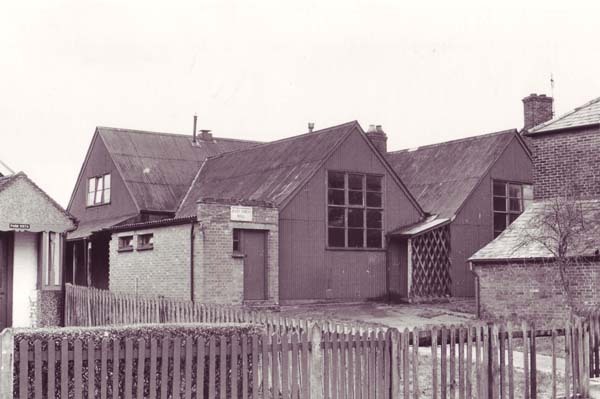 Article in Meon Matters, June 2014, describing the Institute as revealed in the Minutes books.